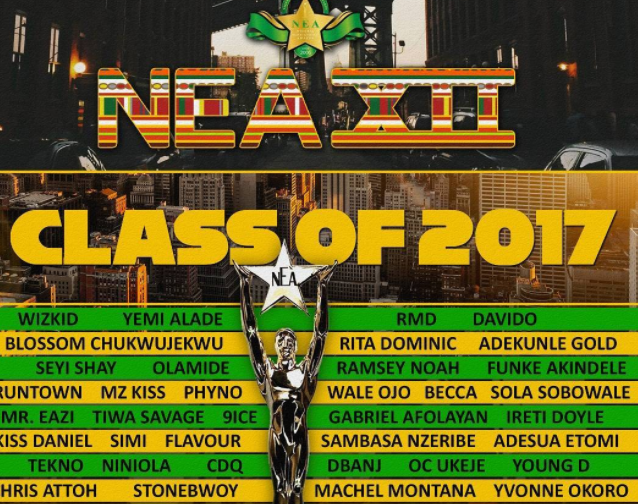 Wizkid, Davido, Dj Spinall, Efe nominated for NEA awards | See full list – Royal Times of Nigeria. Wizkid, Davido, Richard Mofe-Damijo, Olamide and Funke Akindele have been nominated for the 2017 Nigerian Entertainment Awards. The 12th edition of Nigerian Entertainment Awards is billed to take place in New York, US, on September 3. Musicians, actors, presenters and others were nominated in a total of 35 categories.